In the run-up to Christmas many of us like a glass or two of something sparkling. Some of the time it is swallowed without too much thought, unless it is truly awful or something really special that kick-starts our taste buds. But it is worth taking a little time to buy something decent: your family and friends will thank you for it. The two national favourites are prosecco and champagne. I rarely refuse a glass of good champagne, although it can be very expensive. As far as I am concerned we reached peak prosecco some time ago, so I am delighted to see the range of sparkling wines in our shops expand to include some really interesting, reasonably priced wines. This week, a few more offbeat choices from the Loire Valley, Portugal and even the Czech Republic, as well as an inexpensive champagne that will get any party going. I wrote about pét-nats earlier this year. These are naturally sparkling wines (the name is short for pétillant naturel), lightly fizzy and sometimes quite funky too. Some are a little cloudy with the leftovers from fermentation. A glass before dinner can be very refreshing and a whole lot more interesting than a prosecco. 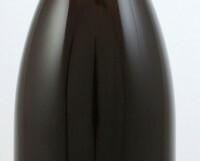 The Portuguese PT Nat Pinot Noir below is a milder version, with plenty of fruit and a light sparkle. Wines labelled Brut Nature, including two of the bottles featured below, will have virtually no residual sugar, and if you are used to drinking sweetish prosecco they may come as something of a shock to your system. But both are well worth trying. If you do want to serve champagne, it usually makes sense to pay more than €30, as inexpensive bottles rarely offer good value for money. There are, however, a few exceptions, such the Monsigny below or the very tasty Granzamy Brut Champagne (€29.95, O’Briens). For more adventurous palates, O’Briens also has the very tasty Australian Croser Brut Rosé (€24.95). Dunnes Stores has the excellent grown-up, refined bone dry Champagne Lombard Brut Nature Grand Cru Blanc de Blancs (€45). Terroirs, in Donnybrook in Dublin, has a great selection of grower- or domaine-bottled champagnes. My favourites include the Agrapart 7 Crus (€69.50) and the Pierre Péters Blanc de Blancs Extra Brut (€59.50). I always enjoy a glass of the excellent Bénard-Pitois 1er cru Champagne (Whelehans, €36.95). One of the finest grower champagnes I have tasted in recent months is Leclerc Briant (€59, siyps.com, Green Man Wines). Of the bigger names in champagne, Bollinger, Louis Roederer and Charles Heidsieck are all on top form at the moment. Expect to pay €55-€65 for all of these. Two final pieces of advice. Don’t serve your sparkling wine too cold; half an hour in an ice bucket will kill all flavour. And do serve plenty of nibbles – all wine, including sparkling, tastes better with a little food. 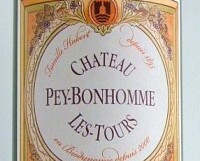 Marvelous medium-bodied wine with delectable pure late summer fruits, underpinned by a subtle mineral streak. Made in a style that is right up my street. A good all-rounder with an affinity for red meats, grilled lamb chops or a roast leg perhaps? This wine is made by Germán Blanco of Quinta Milú, one of my favourite winemakers in Ribera del Duero. There, and now in Rioja, he makes delicious wines that sing with pure fruits. This is fermented in cement tanks and is completely unoaked. 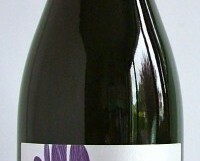 It is mainly Tempranillo, but includes a small percentage of Viura, a white grape. €16.50. available exclusively from 64 Wine, Glasthule. Refreshing crisp dry wine with plump melon and pristine green apple fruits. A perfect balance of crisp and soft that bites and comforts at the same time. A great aperitif, with shellfish, or white fish – hake or cod. I had mine with hake, served with spinach and mussels in a buttery sauce. Monterrei is a very small D.O. in Galicia in North-west Spain. Its neighbours, Rías Baixas and then Valdeorras, have grown in populrity for their excellent white wines. I suspect Monterrei will be next. In the warmest and driest part of Galicia, Monterrei produces both red and white wines, the red from Mencía. 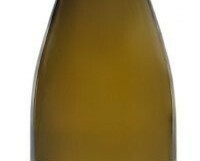 The white wines, generally a blend of Godello and Treixadura (Dona Blanca is also permitted), combine the richness of the former and the crisp acidity of the latter in a very attractive way. This is a 50/50 blend of Treixadura and Godello. Stockists; Sweeneys, Glasnevin; The Coach House, Ballinteer; 64wine, Glasthule; Liston’s, Camden Street; Baggot Street Wines. Pardevalles Prieto Picudo 2015, Tierra de León. €15 from Clontarf Wine, 64wine and the Corkscrew. Every year, the Spanish seem to rediscover a long-lost grape variety. If you haven’t heard of the Prieto Picudo grape before, don’t worry; very few wine anoraks have either. I seem to remember trying a few very rough versions a year or two ago, but couldn’t swear to it. Then this very attractive wine landed on my doorstep. The grape is indigenous to the León region in north-west Spain. 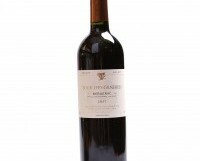 The wine is savoury with liquorice and plump dark fruits with a very pleasant freshness. Well worth looking out for. €22.95 from Blackrock Cellars, 64wine, Glasthule & Le Caveau, Kilkenny. Not many wine geeks will have heard of Cheverny. It is one of those very obscure appellations of the Loire Valley. The white wines are a blend of Sauvignon Blanc and Arbois, Chardonnay or Pinot Blanc. The red is also a blend, of Gamay and Pinot Noir or Cabernet Franc. Thierry Puzelat is one of the leading exponents of natural winemaking in France. His wines are made with no added yeasts and little or no sulphur. When they work, I find them spectacularly good, although I have tasted a few very barnyardy examples in the past. This was delicious, a refreshing fruit-filled wine with redcurrants and raspberries and a fine elegant acidity and an earthy touch. Serve cool with all sorts of pork and chicken dishes. €15-15.50 from Avoca, Rathcoole; Baggot St. 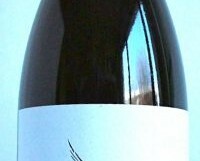 Wines; The Corkscrew, Chatham St.; Donnybrook Fair; Liston’s, Camden St.; World Wide Wines, Waterford; 64wine, Glasthule; MacGuiness, Dundalk; Le Caveau, Kilkenny; Green Man Wines, Terenure. At one time, this was one of my all-time favourite red wines. I hadn’t come across it for a while so for a while, so I was delighted to see it at a tasting recently; it is as good as ever and still something of a bargain. Made by the de Conti family in Bergerac (right next-door to Bordeaux) this is modern French winemaking at its best. Light fresh blackcurrant and plum fruits, no oak and a dryish finish. Clean and moreish; perfect everyday wine to match up with roast meats – pork, lamb or beef, or pâtés and other charcuterie. This was a really enjoyable wine, classic Bordeaux, with clean blackcurrant fruits, a seam of acidity running through, and a light dry tannic bite on the finish. I had mine with a roast shoulder of pork (Tamworth, from ethicalpork.com, excellent) and it was very good. I suspect it would be even better with lamb. Available from Green Man Wines, Terenure; 64Wine, Glasthule; Fallon & Byrne, Exchequer Street; Clontarf Wines; Mortons, Ranelagh. Available from Sheridans Cheesemongers, and 64wine, Glasthule for €22.50. From a small family estate based in Fuenmayor in Rioja Alta, this is a wonderful Rioja, one of the best I have tasted in some time. Made from 90 Tempranillo, it has an irresistible combination of perfectly ripe dark cherry fruits, good acidity, and very subtle oak. It carries its 14% alcohol effortlessly. There are some tannins on the finish, and I suspect it will improve for another five years or so, but it went perfectly with a roast shoulder of pork for Sunday lunch. Excellent wine worth seeking out. 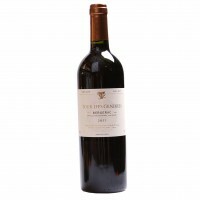 Available from: 64wine, Glasthule; Clontarf Wines. 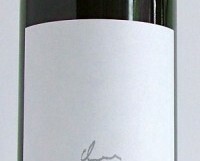 Essence of Blaufränkisch – lovely vivid blueberry and damson fruits with no tannins and a very appetising freshness. This would go nicely with most chicken or pork dishes. Claus Preisinger is an interesting guy and an inquisitive winemaker, trying out all sorts of natural and amphorae wines. Some are remarkably good. He also makes an excellent range of ‘normal’ wines. I have usually been more impressed with his white wines, but earlier this year I tried several tasty reds, including one of the finest Zweigelts I have tasted. Today though, his Blaufränkisch.